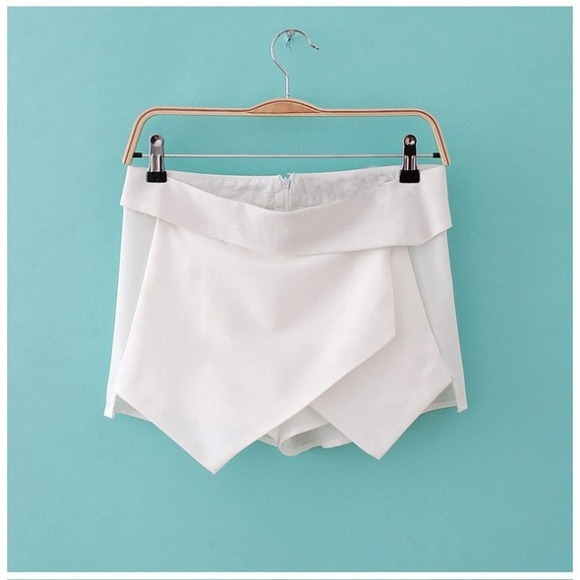 The White Asymmetrical Mini Short is trendy so you MUST have it for spring and summer right now! mixed with short and skirt, you should add this item on your closet because it’s absolutely gorgeous! Most famous fashion blogger have already got it! you can of course combine it with a transparent short and blouses or if you prefer, style patterned rock t-shirts or with a trendy leather vests or finally you can wear it with ankle boots and a fringed tee for main stage style! I remember being so exited when I bought it! I love the way it’s designed and how the fabric is- so elegant! I think these kind of shorts work with everything – I love how they glam up our casual basics and dress down heels! Wear these shorts with ankle boots and a fringed tee for main stage style. Anyway, as you may have already noticed, I looooove old architectural house and particularly this Luxurious DuPeyrou Hotel where we shouted Quentin and I. I just caught my eyes and my attention! How beautiful garden it has! so pleasant to sit down there and watch the sunlight coming and caressing your skin- such a nice sensation..